For VB/VBA, the Find feature now supports regular expressions (apart from wildcards), like the version for Visual Studio. For VB/VBA, the Find feature now supports multiline searches, like the version for Visual Studio. For VB/VBA, the Team Options treeview no longer shows nodes for the VB/VBA language, flattening the treeview structure. 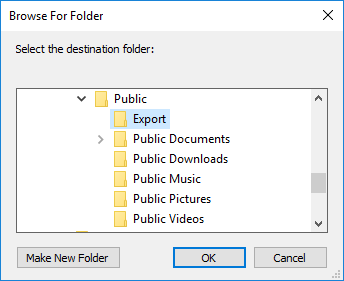 For VBA, you can now export all the files of the project to a destination folder, rather than one by one. 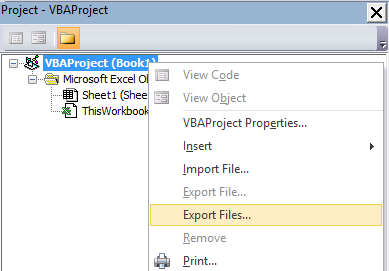 New feature [Internal] (VBA): Export Files. Changed [Internal] (All): The Code Element Header Below Declaration setting has been moved to the language-specific property page of team options, below the list of code element headers. Enhanced [#11205] (VB/VBA): The Find feature now supports (.NET) regular expressions. Enhanced [#11205] (VB/VBA): The Find feature now supports multiline search. Enhanced [#11206] (All): New predefined variable “Code Element Access Keyword” ($P[CODE_ELEMENT_ACCESS_KEYWORD]). Enhanced [Internal] (All): Selected reviews for the Review Quality feature are preserved during a session. Enhanced [Internal] (VB/VBA): The Team Options tab no longer shows subnodes for the VB/VBA language of Code Element Headers, Error Handlers, Code Elements Order and New Method/Property Assistant. Fixed [Internal] (All): The dialog to enter a multiline paragraph now remembers the last value. Fixed [#11224] (All): The Programming Rule Review didn’t select the found text when locating a result if the item to review is not ‘File’. Fixed [#11212] (All): The Selected Text scope was not used if the selection didn’t include the carriage return of the line. Fixed [#11223] (All): NullReferenceException could happen in the Code Template/Exception Handler editors if no item was selected in the Command Name combobox after an importation. Fixed [#11240] (All): NullReferenceException could happen removing/replacing nodes in the results window. Fixed [#11273] (All): COMException (0x80004005) could happen adding line numbers or line continuation to a very long line. Fixed [#11215] (All): The Replace Found Line With New Line feature can cause error ‘The line with the text … has not been found’. Fixed [#11256] (All): Invalid regular expressions in Child Code Element editor of Sort Code Elements feature caused later “BUG: Failed to compare two elements in the array.”. Fixed [#11258] (All): The Find Text feature didn’t use the selected project in the dialog in some scenarios. Fixed [#11282] (All): NullReferenceException could happen in TabIndex Assistant. Fixed [#11236] (VB/VBA): The Find Text feature didn’t consider ‘:=’ as a whole word separator. Fixed [#11250] (VB/VBA): Importing options of version 3 used the username setting in the custom date format setting. Fixed [#11211] (VBA): Files were not found in Word if more than one document was open. Fixed [#11232] (VB6/VB5): A form could crash a custom control when renamed if it belonged to a control array. Fixed [Internal] (VB/VBA): The Split Lines feature didn’t process the final lines of a method if some lines of the method were split.